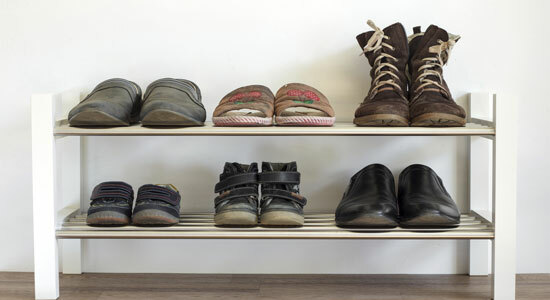 Generally, we have a pretty good sense of how to avoid choosing the wrong pair of shoes for a certain activity—for instance, you wouldn't play soccer in slippers or go on a hike wearing pumps. But when it comes to driving a vehicle, an activity that the typical U.S. adult does fairly often (101 minutes per day on average), many of us consistently fail to select the right shoes for the job. If you consider how much influence the gas and brake pedals have over the movement of a vehicle, it makes sense that foreign objects, our shoes in this case, that come in direct contact with the pedals also affect a vehicle's movement. One insurance company's recent survey of motorists suggests that inappropriate footwear plays a role in 1.4 million auto accidents each year. So which shoes top the list of the most inappropriate footwear for driving? We've ranked the worst, and some of the most frequently worn, offenders. It's right there in the name. A good rule of thumb is that if you can easily slip on a pair of shoes, they can also easily slip off to become lodged underneath the gas or brake pedal. Even if you're just driving around the block for your morning coffee, save these shoes for the house. Wedges and platform shoes may be a better choice than high heels for walking, but they are poor a choice for driving. Wedges and platforms create a barrier between the bottom of your foot and the pedals in your car. This makes it difficult for you to accurately gauge how much pressure you put on the gas or the brake. Some may think that driving barefoot is illegal, but there are actually no laws preventing driving sans shoes in any state. Although it may be legal, driving without shoes is still quite dangerous and definitely not recommended. Bare feet can easily slip off the pedals or make drivers more likely to miss the pedals. Bare feet do not have the same braking force as shoes and just don't generate enough friction on the pedals for safe driving. Also, in an accident, bare feet are much more likely to be cut or burned than feet protected inside of shoes. Stilettoes and other shoes with sharp, pointy heels just aren't practical for driving. The heel can become lodged in the floor mat of your vehicle. Plus, the elevation of the heel forces knees and legs into awkward and unsafe angles. 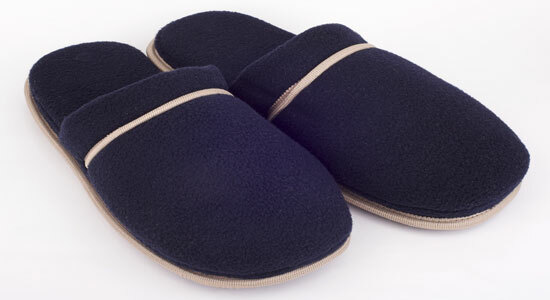 The most egregious offender of them all—flimsy flops are a driving disaster waiting to happen. Especially during the warmer months, roughly one third of both men and women driving vehicles are wearing flip flops, yet this type of shoe is far more dangerous for driving than any other type. Flip flops make it difficult to brake quickly and effectively. 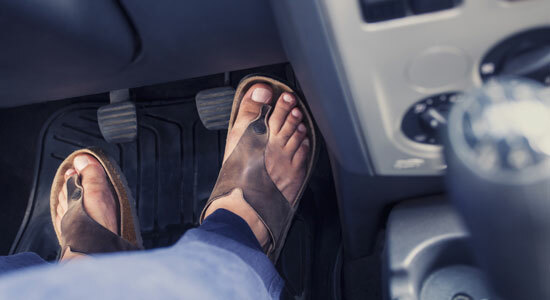 Studies on participants using driving simulators found that wearing flip flops doubles the amount of time drivers typically take to move between the gas and brake pedals. Flip flops also make overall deceleration up to .13 seconds slower. This doesn't sound like much, but it means that if you hit the brake wearing flip flops driving at 60 mph, your vehicle would require roughly 11 more feet to stop than if you were wearing a safer type of shoe. In an emergency traffic situation, sometimes 11 feet can be the difference between a close-call and a car accident. Avoid these types of dangerous shoes if possible. Keep a safe and sturdy pair of sneakers in the backseat of your car for days when you're wearing flip flops or high heels. Don't let your choice of footwear put you and your passengers at risk. Unfortunately, some drivers don't put the same care into driving as they do into their fashion choices. If you were hit by a careless driver who didn't heed traffic laws, you may have serious injuries to deal with. You might have piles of bills and wonder how you're going to make ends meet. When you have questions, contact Edgar Snyder & Associates for answers. Call 1-866-943-3427, or fill out the form at the top right of this webpage for a no obligation free legal consultation.